Explore Machu Picchu, Cusco, and the Sacred Valley of the Inca. Within the mountains of Peru lies a wealth of ancient Inca temples, Spanish colonial towns, and breathtaking Andean vistas. Discover the magnificent capital of Cusco, hike to ruins in the Urubamba Valley, meet artisans and archaeologists, and examine pre-Colombian treasures at the renowned Larco Herrera Museum. Then spend the night among the enchanting ruins of Machu Picchu, excavated by Hiram Bingham with funding from National Geographic more than a century ago. Watch day break over the mountaintop Inca ruins of Machu Picchu. Explore cathedrals in the Inca Empire’s capital city of Cusco, stroll colorful markets in the Sacred Valley of the Inca, and discover the towering stones of the Sacsayhuaman Fortress. Attend a private demonstration of traditional Andean weaving techniques by a National Geographic grantee, and hear local musicians play indigenous instruments in a 16th-century monastery. Depart for Lima, Peru’s largest city, founded in the 1500s by conquistador Francisco Pizarro. Transfer to our hotel upon arrival and enjoy an evening to relax. Fly from Lima to Cusco this morning and drive to the Inca site of Moray—believed to have been an agricultural laboratory where priests would test soils and crops. Enjoy a traditional Peruvian lunch at the parador overlooking the ruins. Stop at a colorful local market before an optional visit to the pottery studio of Pablo Seminario, featuring ceramics made with ancient Peruvian techniques and designs. After breakfast, enjoy a talk by National Geographic grantee Peter Frost*, who has been exploring the Andes for 35 years. 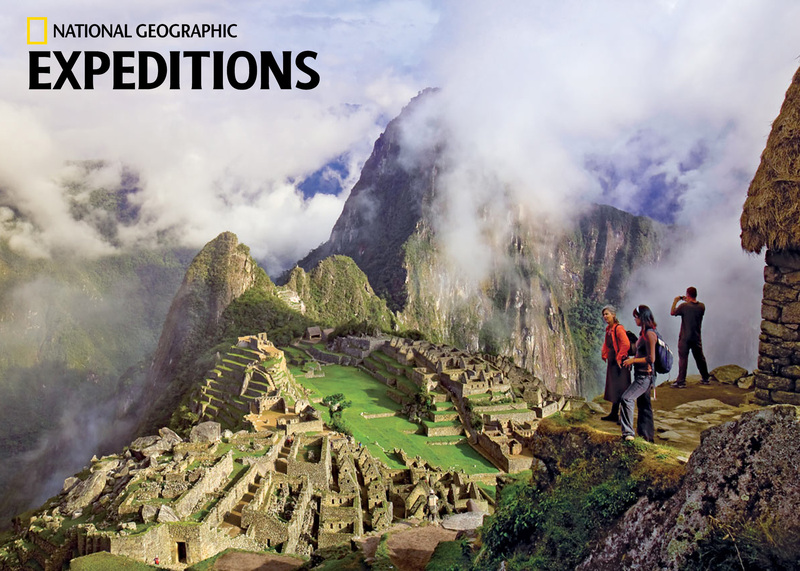 In 2001 and 2002, Peter led National Geographic Society-sponsored expeditions into the remote region of Vilcabamba, Peru, finding and exploring the previously unknown Inca and pre-Inca site of Qoriwayrachina (National Geographic magazine, February 2004). Travel further into the Sacred Valley to Ollantaytambo and explore the massive stone fortress where the Inca won their greatest victory against the conquistadores. Visit the family-owned hacienda Casa Orihuela for lunch, then see the family’s private museum filled with colonial artwork, and witness the delicate dance of paso horses during a presentation of traditional horsemanship. Back at the lodge, meet National Geographic grantee Nilda Callañaupa, who has helped preserve and revive traditional Inca textiles. Learn about her ancient craft and watch a weaving demonstration. Gather for a captivating performance of folkloric stilt dancing tonight. An exhilarating morning train ride brings us through the valley and then up steep slopes to magnificent Machu Picchu. Isolated among mountain peaks, Machu Picchu is one of the world’s most awe-inspiring sites. The sacred citadel was abandoned by the Inca, reclaimed by the jungle, and lost to history until it was rediscovered by Hiram Bingham in 1911 and excavated with support from the National Geographic Society. Discover the mysteries of the “lost city of the Inca” on a guided walk of the citadel and then check into our incredible lodge overlooking the ruins—the only accommodation adjacent to Machu Picchu. This afternoon, return to the site to explore with a guide; head off on your own to see the Inca Bridge, built on a stone path that the Inca cut into a sheer cliff face; or request a private soak in the hotel’s hot tub, which is hidden in the surrounding cloud forest and has stunning views of the Andes. Watch twilight descend on Machu Picchu after the crowds have disappeared, and soak up the quiet enchantment of this legendary site. Before sunrise, hike up to the Sun Gate, the final checkpoint of the Inca Trail, and watch day break over the timeless ruins of Machu Picchu. Spend the rest of this morning wandering through the site on your own. After lunch, board the train back to the Sacred Valley, then head to Awanacancha, a farm where llamas and alpacas are bred. Continue to Cusco, a city of astonishing charm and beauty that was once the capital of the Inca Empire. Our home here is an exquisite 16th-century monastery just steps from the city square. Take a stroll in the elegant arcaded courtyard and admire the 16th-century antiques and paintings decorating the halls before a special dinner with opera singers in the vaulted dining room. Delve into the legacy of the Inca and the Spanish during a full day of exploration in Cusco. Examine the massive stone boulders that make up the 15th-century Sacsayhuaman fortress, site of one of the bloodiest battles in the Spanish conquest. See the Coricancha, a 17th-century cathedral and convent built atop the ruins of an opulent Inca temple. Then enjoy the rest of the day at leisure to stroll around this beautiful city or relax at our historic hotel. After our flight back to Lima, visit the renowned Larco Herrera Museum to view the world’s largest private collection of pre-Columbian art. Catch the changing of the guard at the Plaza Mayor before we gather for a farewell lunch at Casa Aliaga, a lovely colonial home. Later, check into our hotel, perched on the waterfront in the elegant Miraflores district, and take the rest of the day to relax or explore on your own. Price is per person, double occupancy. For a single room add $1,400 in 2016. International airfare to/from Lima and airfare within Peru is not included in the expedition cost. The group flight within Peru is $435 in 2016 (subject to change). Price is per person, double occupancy. For a single room add $1380. International airfare to/from Lima and airfare within Peru is not included in the expedition cost. The group flight within Peru is $435 in 2016 (subject to change).